At Destra, we emphasize the long view rather than worry about the latest economic turn. Our goal is to offer products that rise above fleeting market statistics and seek opportunity to generate above-market returns over time. We recognize that downside protection is key to success for investors, and that is why it’s at the center of our Responsible Alpha® investing approach. We take the big picture perspective in selecting experienced investment managers with unique investment strategies. Offering these experienced managers in various product structures, we seek to provide investors with less risk and the opportunity for greater returns over time. Co-founder Dominic Martellaro has executive responsibility for business development, distribution, and key partner relationships. In his leadership role, he calls upon his extensive knowledge of various packaged products and separate accounts to help build Destra’s suite of innovative investment products and strategies. Dominic brings 26 years of financial industry experience to his position as Destra's Chairman and CEO. Previously, he served as Executive Vice President of Janus Capital Group and President of the broker-dealer. He has held several other high-level management positions, including Managing Director at Morgan Stanley Investment Management and Head of National Sales at Van Kampen Investments. 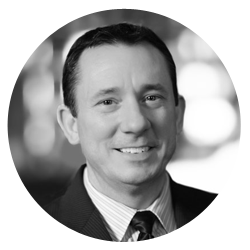 A leading expert in the creation of advisor distribution groups, James Yount is responsible for the development and implementation of Destra’s intermediary relationship strategy. He brings his industry foresight and unique selling skills to the firm after forging long-term relationships with clients throughout the financial services industry. James is a former Managing Director and National Sales Manager for Goldman Sachs' Wirehouse and Edward Jones Channel, where he displayed a unique combination of professionalism, integrity, and industry knowledge in earning the trust of clients. Prior to joining Goldman Sachs, James built advisor distribution groups at both Janus Capital and Hines Real Estate Securities. At Janus, he served as the Senior Vice President of Global Consulting Services, managing the domestic intermediary distribution of Janus products both internally and externally. At Hines, James acted as the Western Regional Sales Manager for the firm, helping build a new sales and distribution team that distributed the company's first public offering to advisors. James also spent 10 years at Van Kampen Investments, holding the positions of Regional Wholesaler for the Pacific Northwest and California and Regional Director for 12 of Van Kampen's western regional wholesalers. 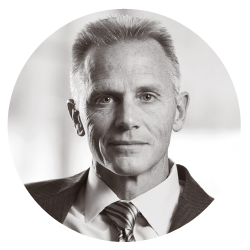 Rob Watson is a Senior Managing Director and the Investment Product Strategist for Destra Capital. Rob also serves as President of Destra Capital Advisors, LLC, an SEC registered investment advisor as well as President of Destra Investment Trust and Destra Investment Trust II. Rob chairs the Firm's Investment Committee, with responsibility for manager research and selection, as well as portfolio oversight and monitoring. He heads the Firm's investment product and marketing efforts. Rob has held numerous roles across a more than 25 year career in the financial services industry. Rob has run product units at Morgan Stanley & Aviva Investors and been responsible for business development and account management teams at Janus & Van Kampen. He has extensive experience in product design and investment implementation, as well as institutional sales and manager due diligence. He holds key industry licenses, is a CFP® certificate holder, and has a Bachelor of Science degree in Economics from North Carolina State University. 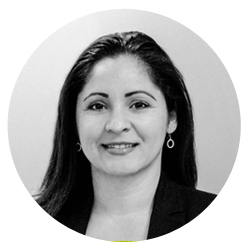 Rosey Valencia is responsible for establishing and maintaining strategic relationships with key broker dealers and institutions to increase Destra’s brand and maximize distribution opportunities across all available platforms for our investment suite. She coordinates with national sales and marketing to ensure alignment between firm’s initiatives, investment themes, and product placement. Before joining Destra, Rosey spent 7 years as the National Account Manager for Deutsche Asset & Wealth Management in the Financial Advisor Division. She focused on identifying sales and marketing opportunities to increase the firm’s market share by building relationships with senior executives, regional directors, research analysts, and product managers. She started her career at UBS Financial Services working over 5 years in various roles in operations, branch administration, and client services before becoming a financial advisor. Her experience in building trust with clients to deliver customized investment solutions expands to her success today with financial advisors and centers of influence. Rosey is a Certified Investment Management Analyst CIMA®, holds key industry licenses, and a member of The Investments & Wealth Institute. She received her Bachelors of Business Administration in Finance from the University of Notre Dame in 1998 and currently serves on the Mendoza College of Business Advisory Council. James Ryan is responsible for leading the distribution strategies of Destra’s expanding investment offerings and brings more than 30 years of broad experience in sales, asset management and client development to the role. He is accomplished in strategic planning and analysis, business-to-business development, and securities and has developed long-standing relationships and successful practices across all distribution channels and business platforms, including mutual fund, retirement, and SMA. Prior to joining Destra in 2018, Mr. Ryan was Managing Director-Head of National Accounts at Provasi Capital Partners. Prior to Provasi Capital Partners, he spent more than three years as Managing Director–National Accounts Director in the RIA and independent channels for INVESCO, Ltd. (2010–2013). In this capacity, he directed channel sales and distribution strategies for leading firms, including Charles Schwab, Fidelity, Raymond James, TD Ameritrade, and AIG Advisor Group. Before that, Mr. Ryan served for 14 years as Managing Director–Director of National Accounts at Morgan Stanley Investment Management. In this position, he directed and established one of the largest distribution footprints in the industry, which included relationships across all distribution channels representing more than 3,000 selling agreements. 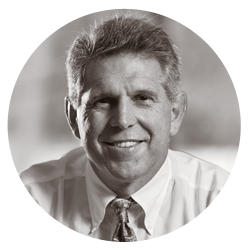 From 1982 to 1996, Mr. Ryan was Senior Vice President of National Accounts and National Sales Manager at Van Kampen Investments. 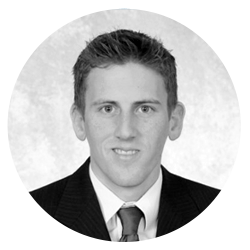 Mr. Ryan received a Bachelor of Science degree in Finance from Northern Illinois University and holds FINRA Series 7, 24, 63, 65 and 79 securities licenses. 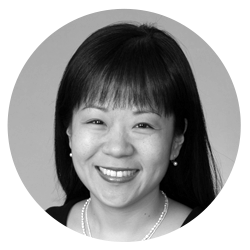 Jane Hong Shissler, as general counsel, is responsible for overseeing and directing all of Destra’s legal activities, and provides legal guidance to the firm’s management and maintains effective corporate governance. Jane also serves as Chief Compliance Officer and Secretary of Destra Investment Trust and Destra Investment Trust II. Prior to joining Destra in 2015, Jane was a partner in the investment management group of Chapman and Cutler LLP. Jane also serves as the head of events and education for the Chicago chapter of Women in ETFs. She graduated from the University of Wisconsin Law School, where she served as the president of the Moot Court Board and managing editor of the Wisconsin International Law Journal. Jane earned an undergraduate degree from Brown University. 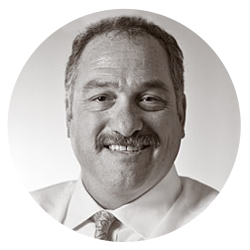 Bart Accardo has over 24 years experience as a corporate financial officer. As a member of the corporate executive committee he is active in the strategic planning and implementation of the overall corporate direction. As Controller, he oversees the corporate activities of accounting, budget, tax and audit practices. He is well versed in corporate insurance and employee benefits, and brings a unique perspective to this position by his experience as a trustee and administrator of corporate retirement and profit sharing plans. Previously, he served as Chief Finance Officer and Vice President of Finance for Custom Color Corporation. Chris Weed is the Marketing Director for Destra Capital. Chris is involved with the marketing of all product lines at Destra. Chris is responsible for developing product and investment content and leading the development of marketing plans to support the Destra Product Suite. Chris comes to Destra from Guggenheim Funds, formerly Claymore securities, where he was an Interactive Marketing Specialist for 6 years. During his time with Guggenheim and Claymore, he was integral in executing all digital marketing initiatives including email marketing campaigns, website upgrade projects, as well as support to the Creative Director on print collateral. Chris holds a Bachelor in the Arts from Purdue University. Destra raises over $370 million as the distributor of the Ares Dynamic Credit Allocation Fund (NYSE: ARDC). Destra raises over $525 million as the distributor of the Flaherty & Crumrine Dynamic Preferred & Income Fund (NYSE: DFP). Flaherty & Crumrine closed end funds, FFC & FLC, appoint Destra as the Secondary Market and Service agent to the two NYSE listed Funds. Ares Capital Corporate (NASDAQ: ARCC) appoints Destra to provide Secondary Market Services to the Fund, the largest publicly traded Business Development Company (BDC) in the market. Destra raises over $150M as the distributor of the Ares Multi-Strategy Credit Fund (NYSE:ARMF). Destra raises over $910M as the distributor of the Tekla Healthcare Opportunities Fund (NYSE:THQ). 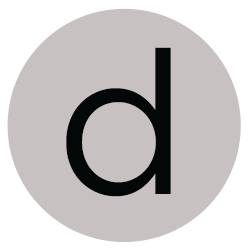 Destra moves into new corporate headquarters in downtown Chicago, One North Wacker Drive, 48th Floor, Chicago, IL 60606. Destra raises over $685M as the distributor of the Tekla World Healthcare Fund (NYSE:THW). Destra launches its first “liquid alts” mutual fund, the Destra Wolverine Alternative Opportunities Fund.